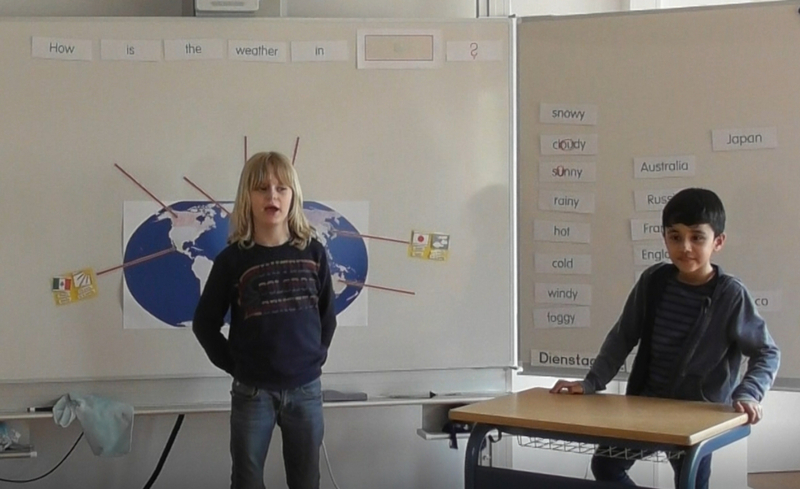 “How is the weather?”… This was the question Rocket class dealt with in Speech and Language and English classes. 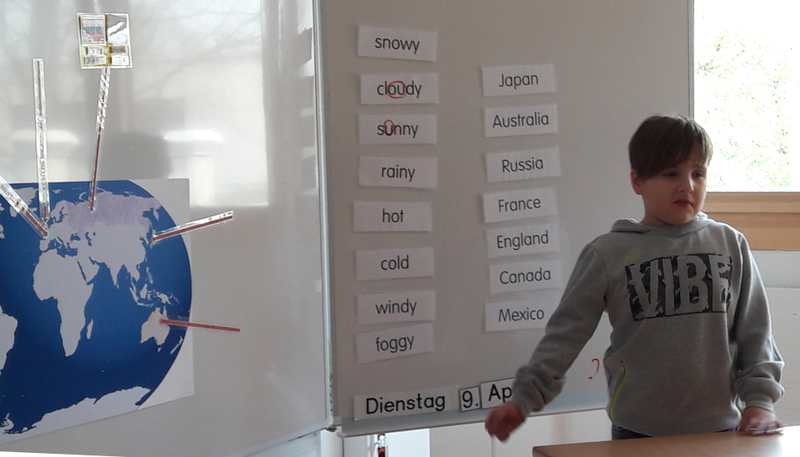 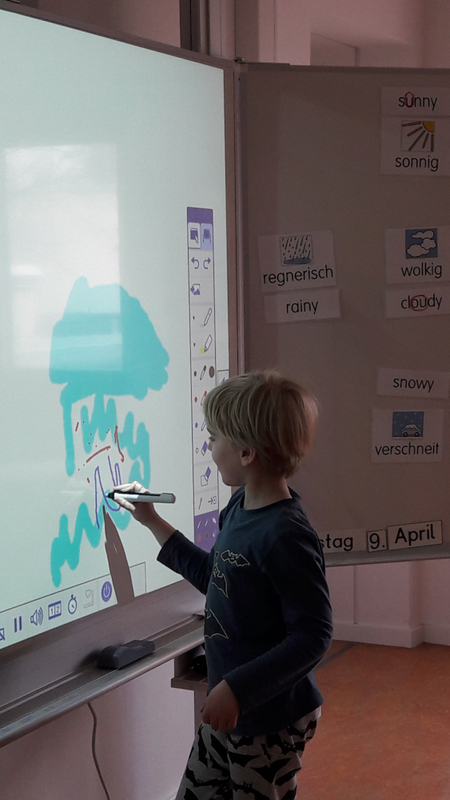 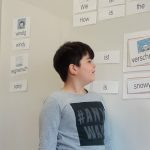 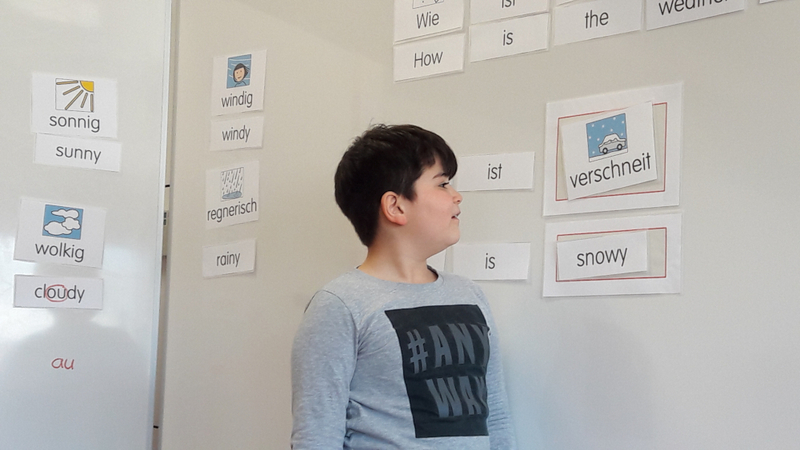 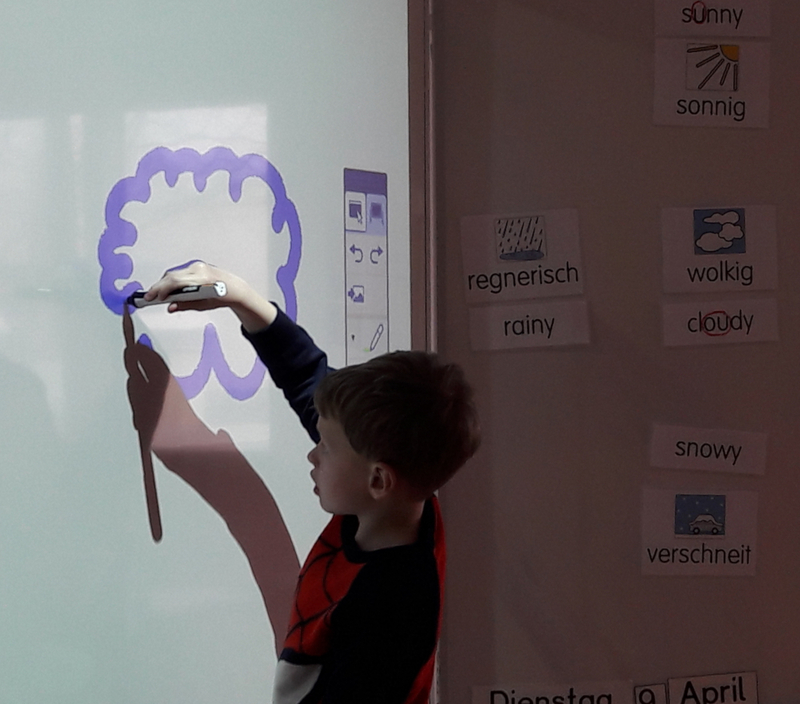 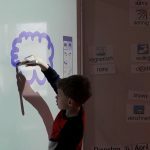 We learned weather terms in German and English and practised to pronounce them properly. 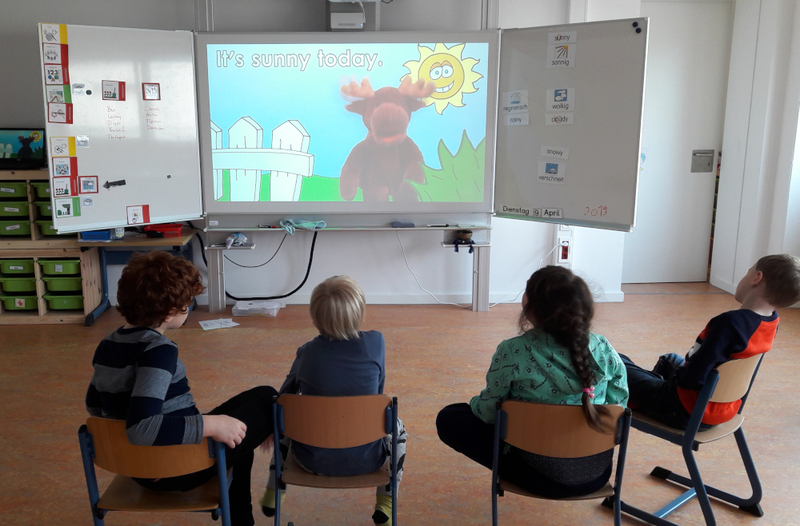 We watched little films and listened to the voices of native speakers. 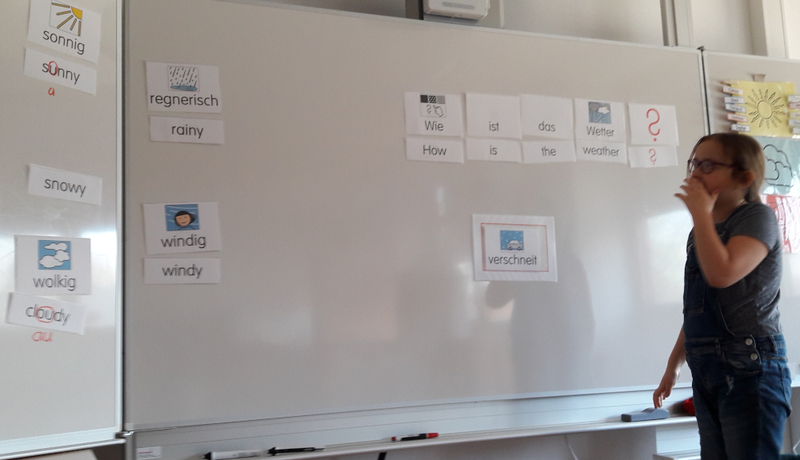 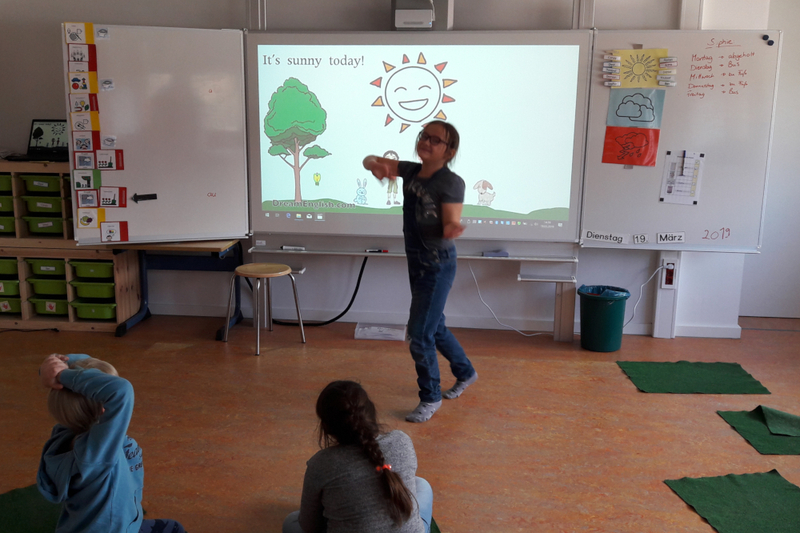 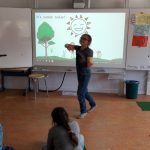 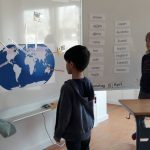 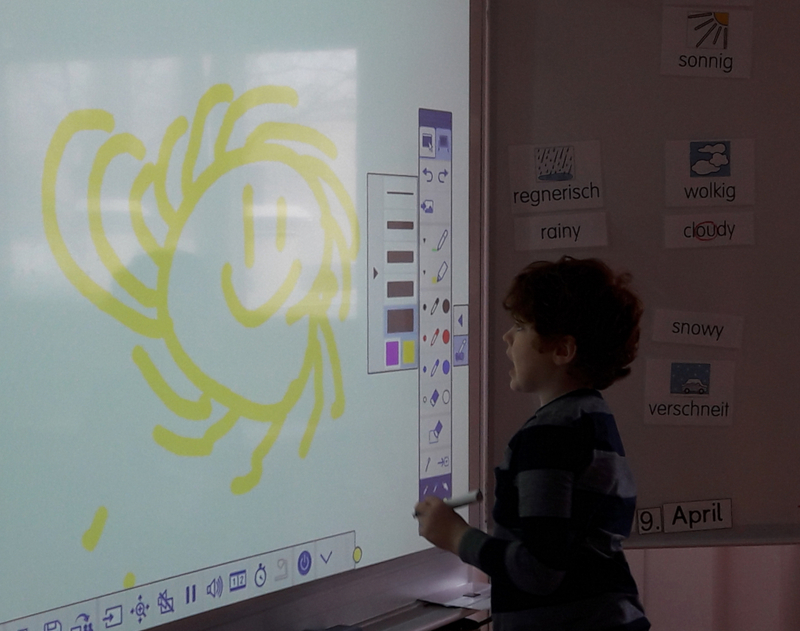 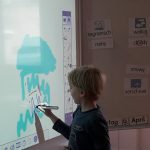 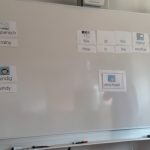 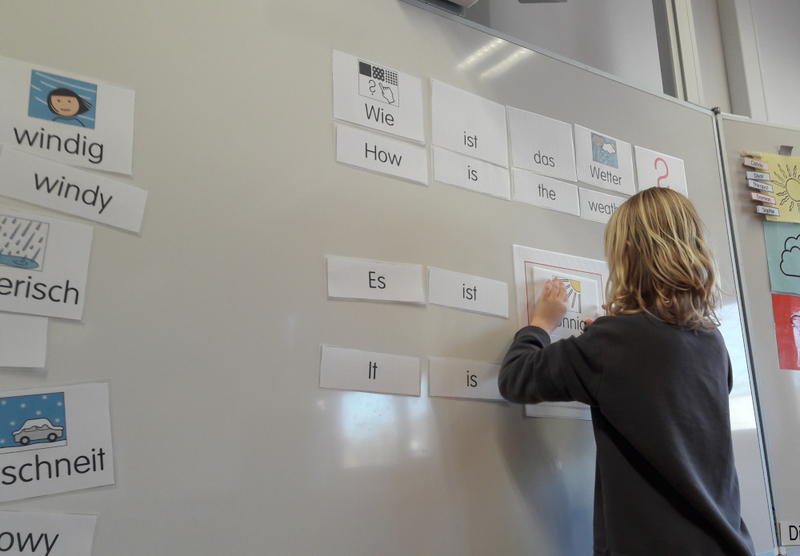 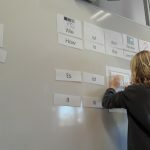 We practised the dialog: “How is the weather…?” “It is…” with different games. 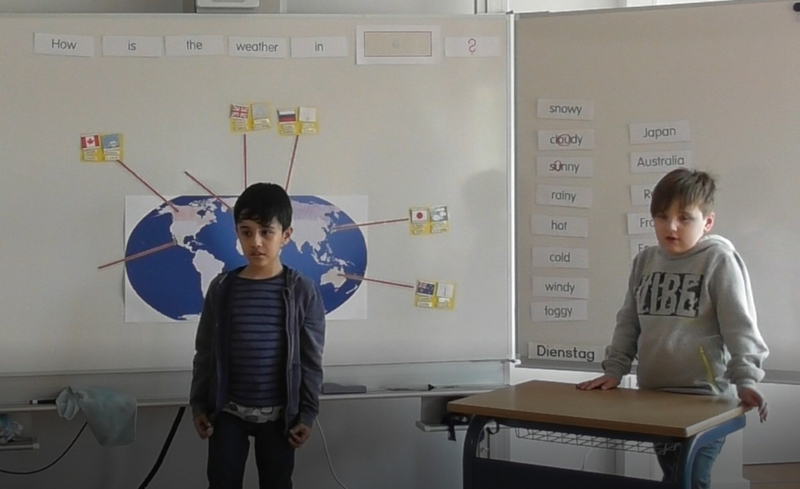 We also practised looking at our dialog partners while speaking with them. 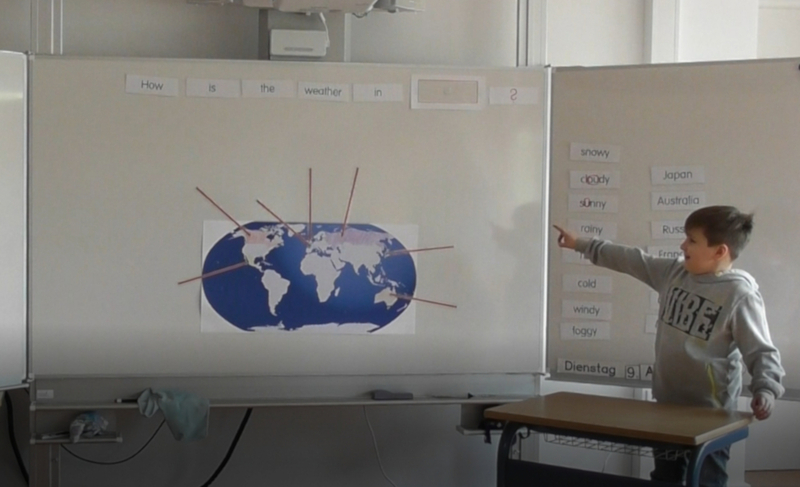 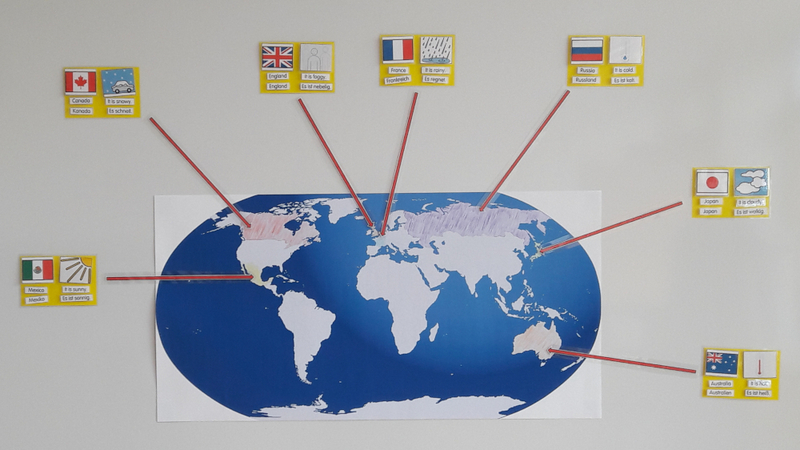 We watched an international weather report, learned the English names of the countries and found them on the map. 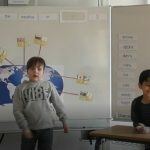 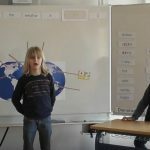 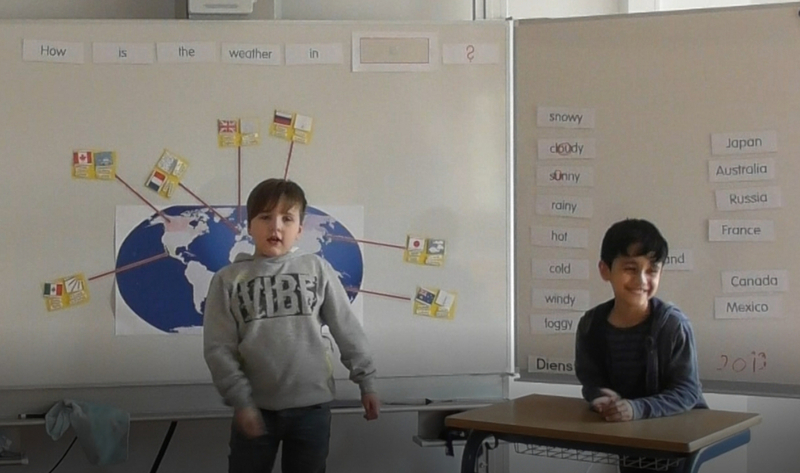 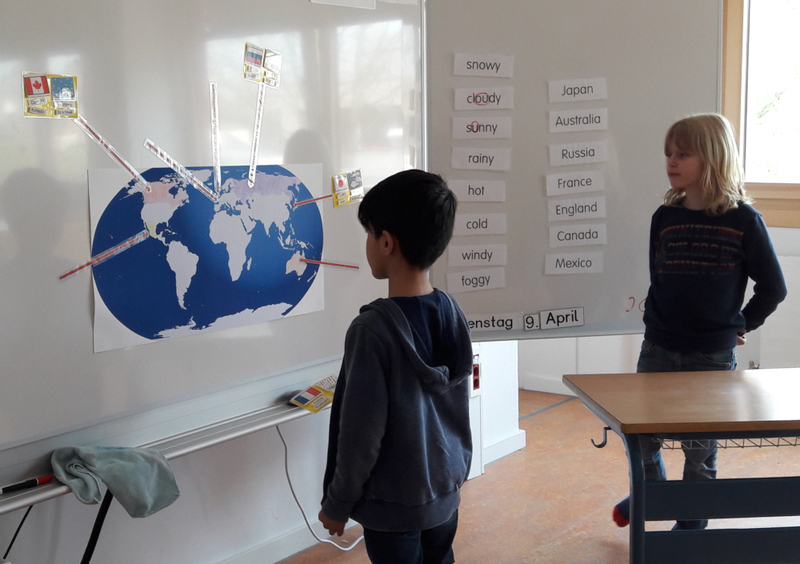 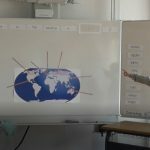 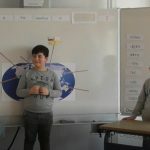 We practised to present the international weather and finally we made our own weather report and filmed it. 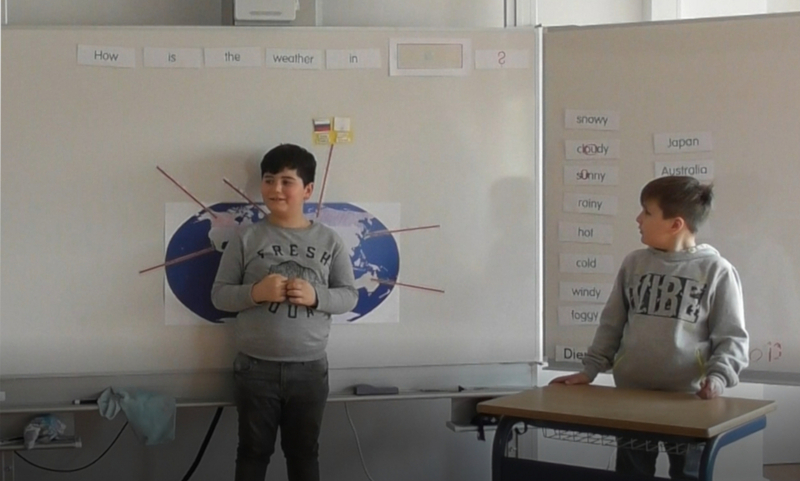 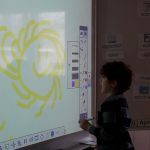 The pupils proudly presented the film to their classmates.